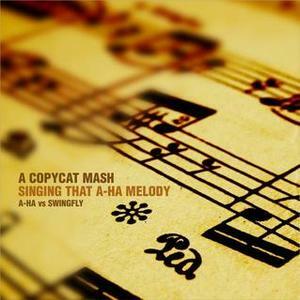 Mash up artist Copycat was on a Scandinavian kick this weekend and mashed up Norwegian pop classic "Take On Me" by A-ha and "Swinging That Melody" by Swedish artist Swingfly. He is a rapper originally from New York who has been living in and out of Sweden. Swingfly is a member of the band Blacknuss Allstars and he’s also touring as a guest artist with Robyn, Kleerup and Teddybears STHLM. A-ha and Swingfly makes up an unusual combination, but like with most mash ups, an odd coupling usually gives the best results. Download and listen to "Singing That A-ha Melody" here. It's very, very good. 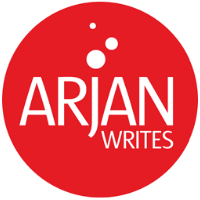 Listen to Copycat "Singing That A-ha Melody"
San Francisco mash up artist DJ Earworm just posted a bunch of new mash up remixes on his web site that are completely, totally and utterly off the hook. 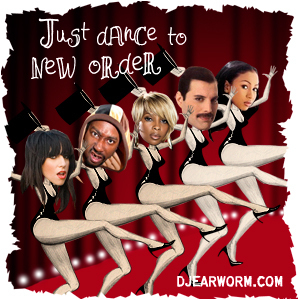 I first posted about Earworm back in 2005 when I met him at an MTV VMA party in South Beach where he brought down the house with his classic "No One Takes Your Freedom," a mash up of Scissor Sisters, George Michael and Aretha Franklin. "Gimme Freaks" combines a Rolling Stones "Gimme Shelter" remix with Moguai and Tocadisco's "Freaks". "Fedde Le Freak" has Rick James singing "Superfreak" over a remix of Duthc DJ Fedde Le Grand's "Put Your Hands Up For Detroit" by TV Rock and Dirty South. "Girl is Rockin'" features Wyclef Jean and Akon singing over the beats of Erick E, remixed by Gregor Salto. "Got to Give up the Dancefloor" fuses Marvin Gaye's "Got to Give it Up" with Stylophonic's edgy "Dancefloor". "Intergalactic Human" features the Beastie Boys rapping over an remix of Daft Punk's classic "Human After All"
"Low Lovin'" is a straightforward club treatment of the pop chart topper by Flo Rida, with instrumentals provided by a Yuksek remix of Chromeo. 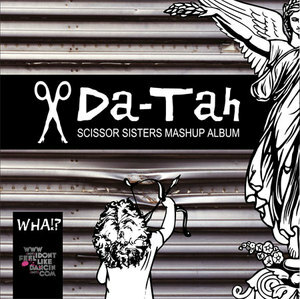 "Bust a Noise" is Young MC's "Bust a Move" over another club track by Erick E.
"Bad Ego": Michael Jackson's "Bad" with Alter Ego's electro house classic "Rocker"
Mash up artist Simon Iddol put together a whole album of Scissor Sisters mashups together with www.idontfeellikedancin.com, the popular Scissor Sisters online community. Listen and download it here. In related news, Scissor Sisters' Jake Shears dressed in yellow for his performance at Elton John's 16th Annual AIDS Foundation Oscar Party last night together with Mary J Blige. Have a taste of this piece of "Candy" (and no, it is not licorice). New Orleans mash up artist Apollo Zero mixed and matched bits of Madonna "Imagine" (John Lennon cover), Modern English "I Melt With You," Jason Mraz "I Melt With You" (Modern English cover), The Who "You Better You Bet," Propaganda "Dream Within A Dream" and Yellow Magic Orchestra "Day Tripper" on this excellent new mash up that he titled "Imagine A Dream Melting With You." 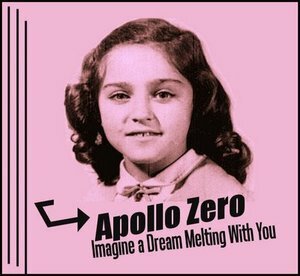 Listen to it on Apollo Zero's web site. Listen to Fast Ood Rockers "Song 4 Kylie (I'm In Love With A Girl In A Time Machine)"
"On Christmas Day, Kylie Minogue will climb inside the Tardis and save the planet in a maid's outfit." Fast Ood Rockers produced a very accomplished mash-up to celebrate Kylie Minogue's upcoming appearance in a Christmas special of BBC's popular Dr. Who television series. 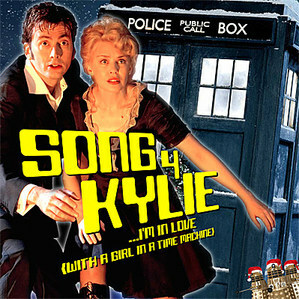 They put together Kylie's "2 Hearts," a cover version of Goldfrapp's "Strict Machine, The Killers' "Smile Like You Mean It" and The Timelord's "Doctorin The Tardis," which is based on Rob Grainer's 1963 composition of the Dr. Who television theme. To add to all the time-traveling madness, Fast Ood Rockers also included some Christmas effects and rave horns.